Who says you can’t have margaritas in the winter? 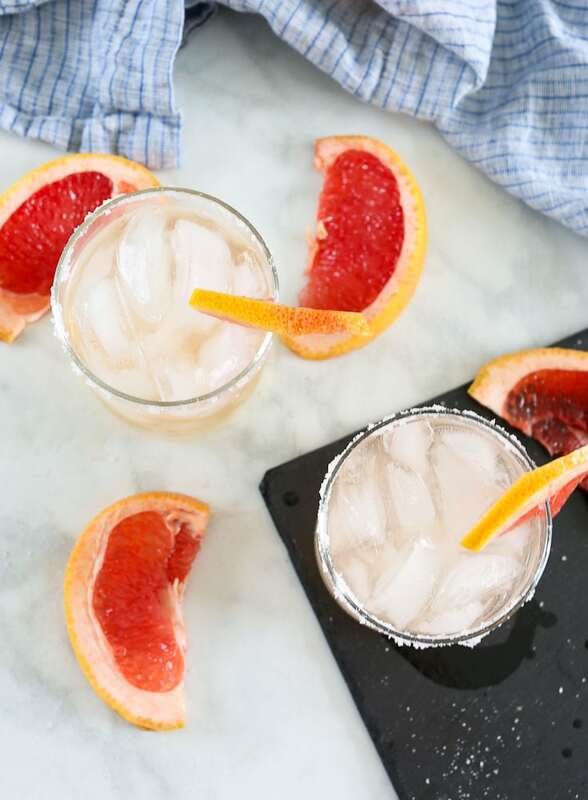 This Grapefruit Margarita takes advantage of seasonal grapefruit and is perfect in the winter! Today I’m bringing you the recipe so you can put it on your weekend menu. Or weeknight menu. I won’t judge you. Some weeks call for cocktails. Margaritas are my favorite drinks, but my favorite margarita recipe is something I crave in the warmer months. I wanted a winter spin so I put my resident bartender to work (AKA the husband, AKA Tim) and he came up with this fabulous recipe for a Grapefruit Margarita. 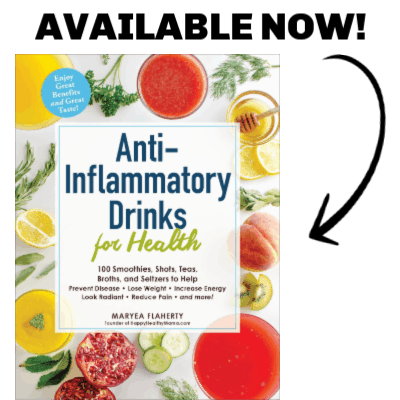 I used the same Texas Red Grapefruit from Sweet Scarletts that I use here and it lends a lot of sweetness to the drink. This is definitely a sweeter margarita than the classic recipe, but not too sweet. Notice that I don’t use lime here. We tested the recipe with lime and the lime took over and you couldn’t taste the grapefruit. I really wanted the grapefruit to shine here, so we left out lime juice. We also tested this with Triple sec vs. Cointreau. Tim actually liked the Cointreau better, but I liked the Triple sec. The Cointreau makes a much stronger drink in my opinion, but if you want to make the Grapefruit Margarita without Triple sec, Cointreau is a good option. I use salt on the rim and it balances the sweetness nicely. If you like really sweet drinks, a sugar rim would probably be really good, too. 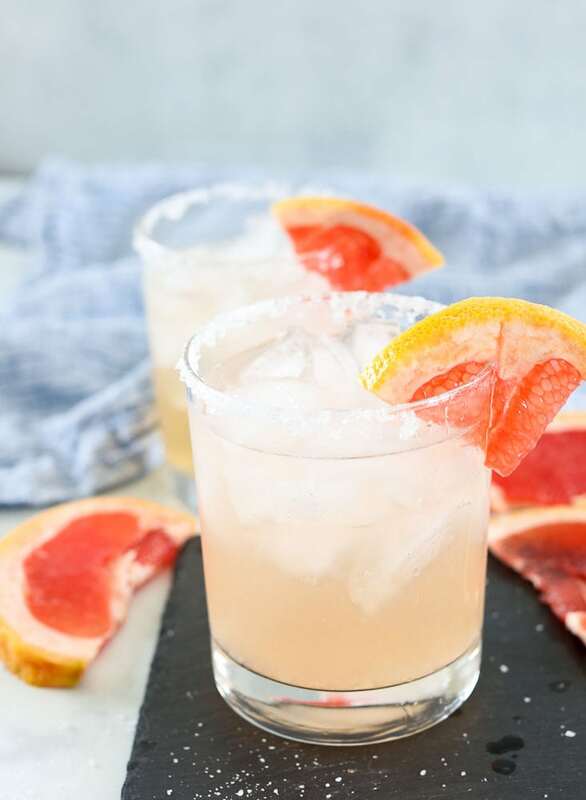 Save this Grapefruit Margarita recipe for when you’re craving a margarita in the winter–you won’t be disappointed! 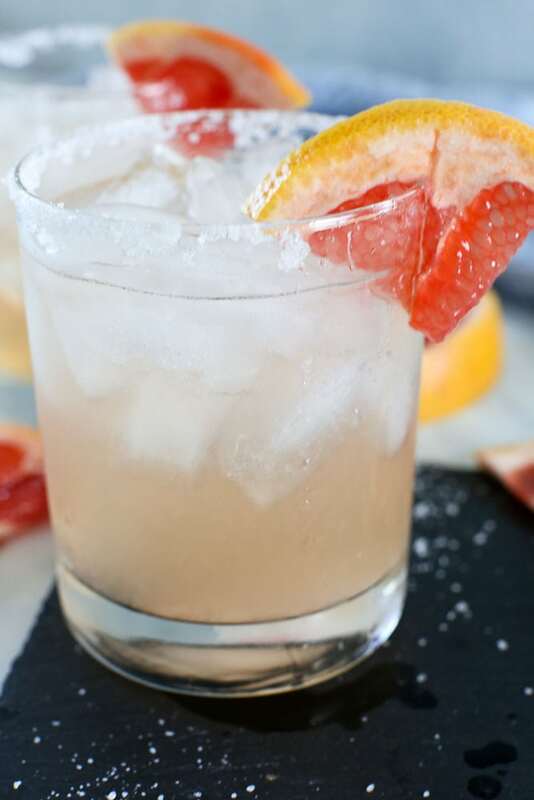 Perfect for the winter months, this Grapefruit Margarita is lightly sweet and delicious! If you prefer a salted rim, rub the rim of your glass with grapefruit juice. Dip the rim into a plate of salt until it is covered with salt. Measure tequila, grapefruit juice, Triple sec, and agave nectar into a cocktail shaker. Pour through the strainer into two glasses of ice. Enjoy! You might also love this Mango Margarita Recipe. YUM!! 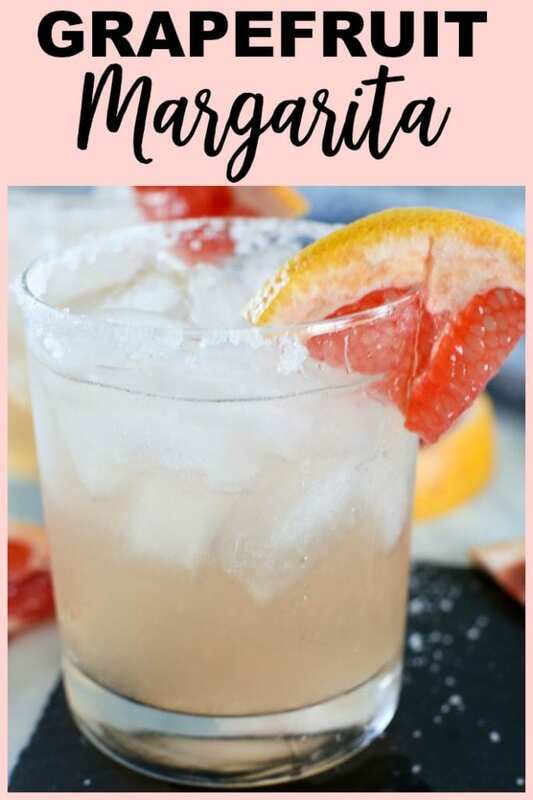 If you make this Grapefruit Margarita recipe, or any Happy Healthy Mama recipe, I would LOVE to see it! Please take a pic and share it on Instagram or the Happy Healthy Mama Facebook page and tag me @happyhealthymama ?